I just ordered a 10 x 12 foot area rug for a client in Denver in the below pattern. The product is very reasonably priced... and the best idea I have heard in a while is that it is reversible! As soon as the high traffic area is soiled, the homeowner can simply flip it over for another 5 years. That is smart design. 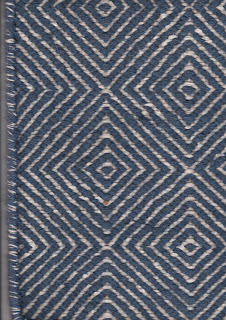 The pattern is Jaipur Diamond and is a wool/viscose blend, made in India. It is available in two colors, sand and royal blue. Love it!